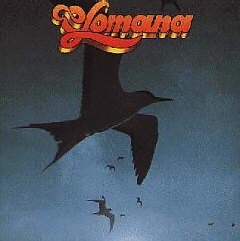 © 1976 Seabird Sound Inc.
Robert Beaumont and Jerry Santos' debut recording as Olomana. Island themes presented in a unique blend of traditional Hawaiian music and contemporary styles. Using the soothing sound of the ocean and seabirds to transition between songs, this album was an instant favorite. It reflects a generation seeking its own identity and helped to define what is now called contemporary Hawaiian music. These original compositions have become classics for Hawaiian music lovers.